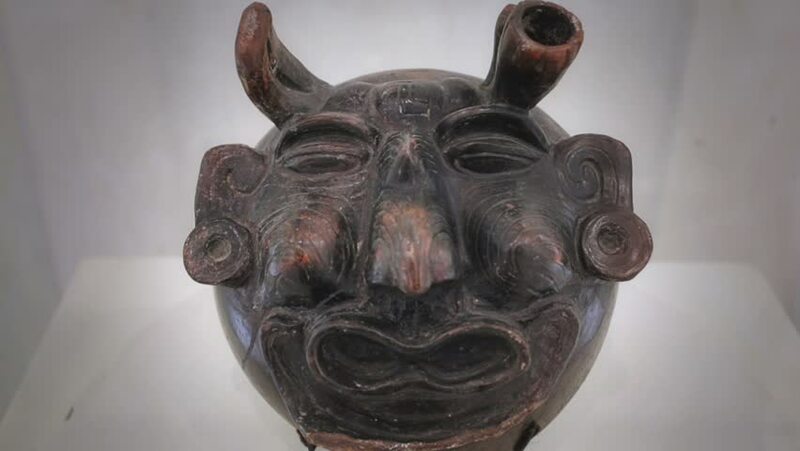 MEXICO CITY, CIRCA JANUARY 2014: Ceramic mask of the underworld god mayan culture in the exhibition "Mayas Revelacion de un Tiempo Sin Fin"
4k00:08Footage of man with mystical makeup. Face art concept, professional makeup for Halloween party. 4k00:10Female Indian Gaur (Bison) turning head and chewing against bright colored house wall on background. Large exotic cow eating food. Wild cattle. Herbivorous animal feeding concept. Camera stays still.